Courtney Peppernell is an LGBT author from Sydney, Australia. In October 2016 she released the best-selling Poetry collection Pillow Thoughts. Courtney has been writing her whole life and currently writes Young Adult novels and Poetry Collections. In February 2017 she released her second novel, Keeping Long Island. 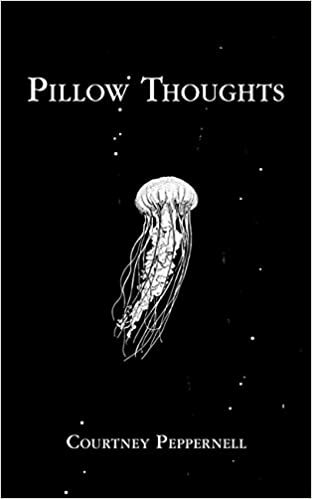 In August 2017 she published Pillow Thoughts and The Road Between via US publisher Andrews McMeel Publishing. Pillow Thoughts II: Healing The Heart, has been announced for release in 2018. When Courtney isn’t writing she enjoys keeping fit, listening to music, and hanging out with her two dogs, Hero & Dakota. This is an enjoyable book to read. Some of her lines like “Time has no agenda. You can meet someone and love them right away or grow your love over many years. You could have known someone for eternity and they still could not understand your core existence, yet the stranger at the bus stop knows exactly who you are. Time doesn’t mean a thing” could just have easily come from “Aleph” by Paulo Coelho, another favorite author. There are a lot of similar books out there but this one and Rupi Kaur’s “Milk and Honey” are the best. I absolutely love this book 🙂 if you like R.H. Sin or Lang Leav you’ll like this author as well.